EHS interviewed our MD, Stuart Archer, this month. Read on to hear more! The Barrier Master range of attachments from Postpullers (UK) makes light work of removing safety barrier posts. Operated entirely from the comfort and safety of the drivers cab and with absolutely no manual handing involved the Barrier Master range is a major step forward in worker safety. 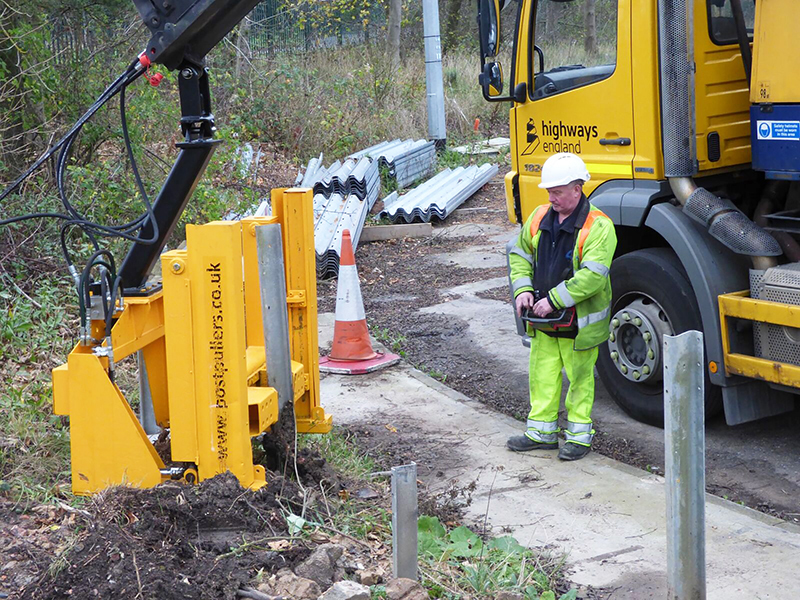 The safe removal of barrier posts has been a regular topic for discussion within the highways industry for many years. Several methods are currently used to remove barrier posts including the use of cranes, chains and ‘plate clamps’, all equipment designed for ‘lifting’, not for ‘pulling’. The ‘Barrier Master’ range are designed for purpose, a specific machine manufactured to perform a specific job. 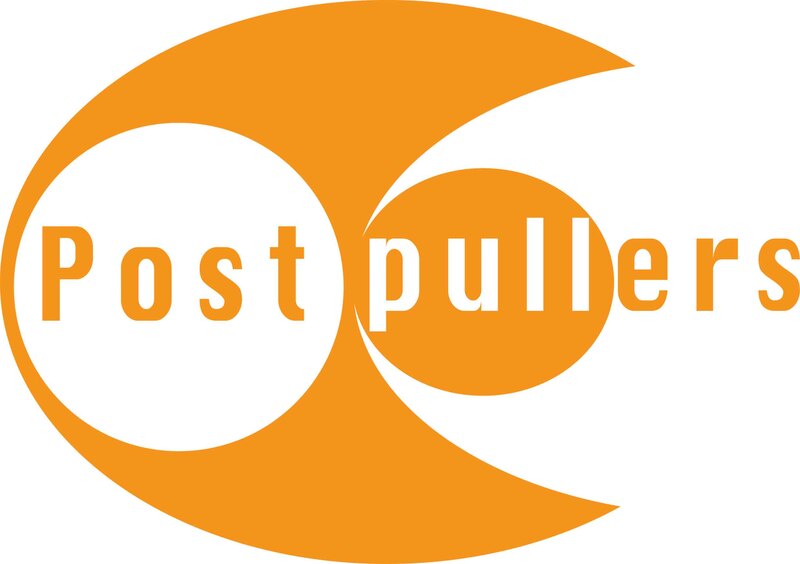 Having originally been approached by several high profile highway contractors with the need for a special purpose machine, Postpullers (UK) embarked on a mission to produce a solution for their concerns. It has taken many months of design and development to produce the end result. The attachments needed to be strong but also flexible to overcome different ground conditions, they need to be powerful but compact at the same time. Above all else they needed to provide a safe solution for the extraction of posts. The end results are attachments which can be fitted to excavators, telehandlers, lorry mounted cranes and a host of other carriers. The company’s larger attachments are ideal for use on motorway or dual carriageway schemes where lots posts need to be removed, the smaller attachments are more suited to ‘crash damage’ and maintenance work where fewer of posts need to be removed, it is also ideal for lighting columns and other types of fencing. “All of our machine and attachment range have a unique and common principle which is to transfer all the pulling forces down into the ground and not into the air, this enables two things; firstly it helps to ensure the machines are safe, for example if the structure of a post has previously been compromised through corrosion or has perhaps been damaged and then breaks in the removal process it will stay intact and not be ejected from the machine. Secondly our designs enable the machines to be hugely powerful as none of the force is transmitted through the carrier as we use the ground as a platform to extract the post in a controlled and safe way.” said Mr Archer. Mr Archer added, “The ‘Barrier Master’ is fast too; in a recent demonstration 100 posts were removed in a little over 75 minutes. Posts removed were a mixture of extra long driven posts and posts with concrete footings, conservative estimates from AOne+ indicate this would take 6 ½ hours using most current practices. 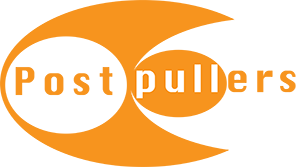 Subscribe to our newsletter to be kept up to date with the latest from Post Pullers!